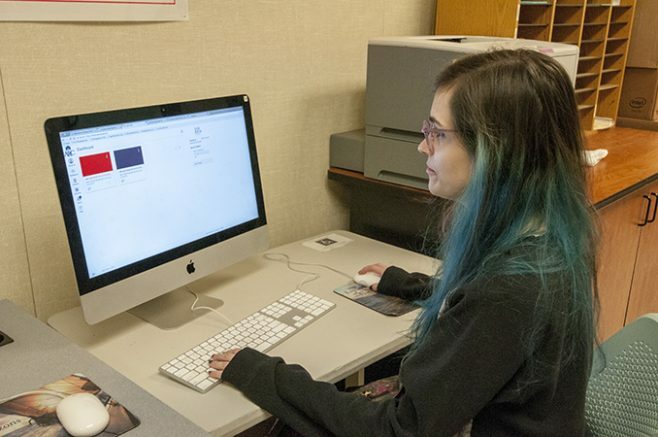 Change is never easy, but it is the biggest part of life and Canvas, the campus’ new e-learning platform, is the biggest change for American River College this semester. Canvas is the online learning environment all instructors in the Los Rios Community College District will use coinciding with in-class work. If you take online classes, Canvas is the platform you will be using. There is no more D2L, the learning platform we are use to. It’s really not that hard to learn and utilize if you take the time to learn it. I started using Canvas in summer 2017. I had one class on D2L and one on Canvas. I felt a lot like some of you, in that I didn’t want to learn how to use another learning platform. I went through the semester, however, and eventually came to favor Canvas over D2L. It is easier to track the course module, grades, assignments, individual quizzes and quiz grades, and discussion posts. It is also easy to download and print study guides and handouts. There are large navigation tabs on the left-hand side, making it easy to navigate the site. Some students still don’t know what Canvas is. A student in my anthropology class was confused about Canvas and asked if it was similar to D2L. All of Los Rios District colleges have switched over to the use of Canvas as the online learning platform and gotten rid of D2L completely. In addition, new students do not know how to use Canvas or where to find it. Canvas can be found on the ARC homepage on the left-hand side, and is the third tab from the top. You will log in with your student ID and password. It is suggested that you log in and look around and set up your profile—even if you don’t have a class that is using Canvas this semester. This will prepare you for classes that may use it in the future. When you encounter an error all you need do is go to the help section, where there are many options. Students can take advantage of several help tabs including, “Canvas 24/7 support” by calling (916) 568-3199 and speaking with a Canvas representative, “report a problem to Los Rios”, “ask your instructor a question”, and “search the Canvas guide”. Canvas support is helpful and they follow up with an email. It is much more interactive and communicative than D2L. Another helpful tip: there is a Canvas application in both the Google Play store and the App Store to download for mobile access. Canvas really is a good tool if you learn it and use it to help you further your education, and let’s be honest, it’s not going anywhere. Be the first to comment on "New campus-wide e-learning platform is a big improvement"